Being vegan, gluten free or dairy free does not mean you have to give up warming winter foods like meatballs! I have made many vegan meat balls; I have shared them with people who are neither vegan or vegetarian, and they ended up liking them better than the meat ones. 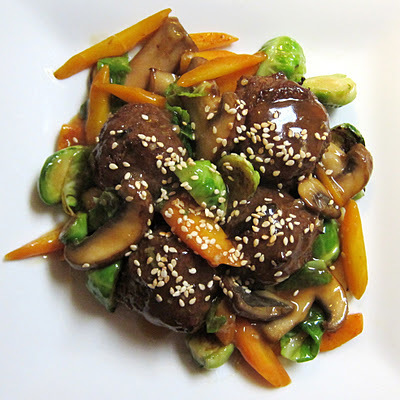 If you are looking to reduce your meat intake, or just go meatless on Mondays, I have a recipe for you! Sweet and sour vegan meatballs taste like takeout, but are much lighter and just as delicious. They are wonderful served with some brown rice on the side, or even just alone with a salad. With the hope to get healthy fresh on the mind, it can be challenging to diet in the winter. We hold on to our traditional practice of salad equals diet food but long for a hearty meal. In the colder months, it is nice to have a salad featuring grains to warm the body. Although there are many to choose from, wild rice seems to be a favorite. Or at least in Minnesota because afterall, it is widely available here. 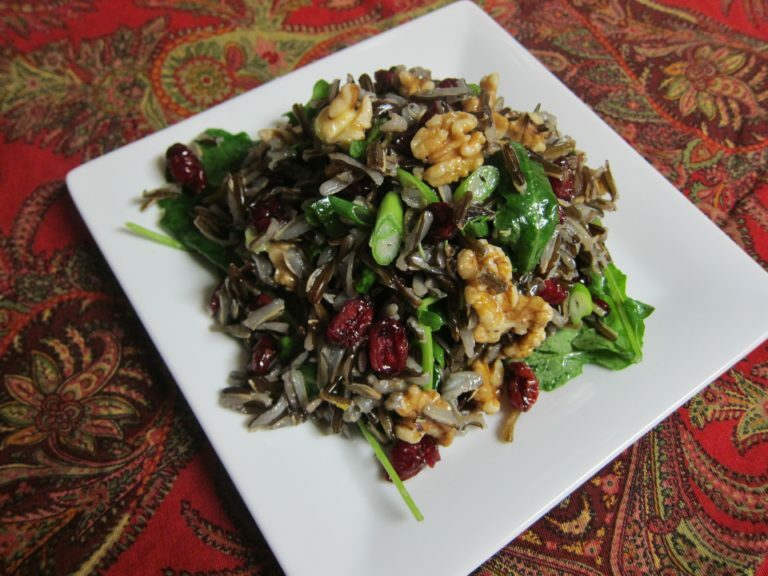 I have noticed that it is a top seller in the deli at the store, and so I thought I would share one of my wild rice salad recipes with you. It can be substantial enough for a main dish when protein is added (I would serve it with a tempeh cutlet, or mix in chicken style seitan, but if you prefer chicken or serving it alongside fish or meat that would work as well). I kept it fairly simple, but added a bit of sweet with cranberries, crunch with walnuts and savory with scallions. Since we now sell baby kale in the store, I added it for color. This salad would be perfect when serving company, or making a large batch and taking to lunch for the week. Organic kale. It sounds like the perfect green. Everyone just can stop talking about all the nice things about it. But what happens when you or someone in your family is a picky eater? 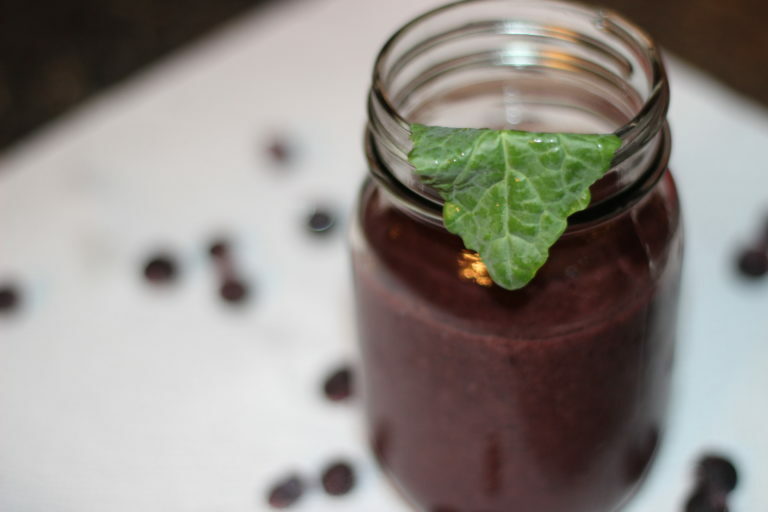 This nutritionally dense smoothie is the perfect solution to hiding all the health benefits behind the sweetness of a bananas and blueberries. Don’t get me wrong, I love kale, especially the Sesame Kale in the deli case. I prefer Lacinato kale over curly kale but to each their own. The Lacinato kale is slightly milder in taste and is a wonderful addition to any smoothie. Another convenient kale to use is our organic baby kale. One thing I hate about smoothies is the amount of effort it takes to prepare. To avoid the hassle of getting out the blender for each smoothie, I make them in large batches and freeze them individually. By the time lunch roles around, my smoothie is unthawed and ready to enjoy. In the midst of our busy lives, we are all looking for a quick way to get energy. With all the healthy resolution kick-offs, smoothies are an easy way to help burst your energy and daily nutrients in the New Year. Antioxidants are desired nutrients that help ward off free radicals from attacking the body’s cells, and after the Holidays, our bodies feel ran down and in need of an antioxidant boost. 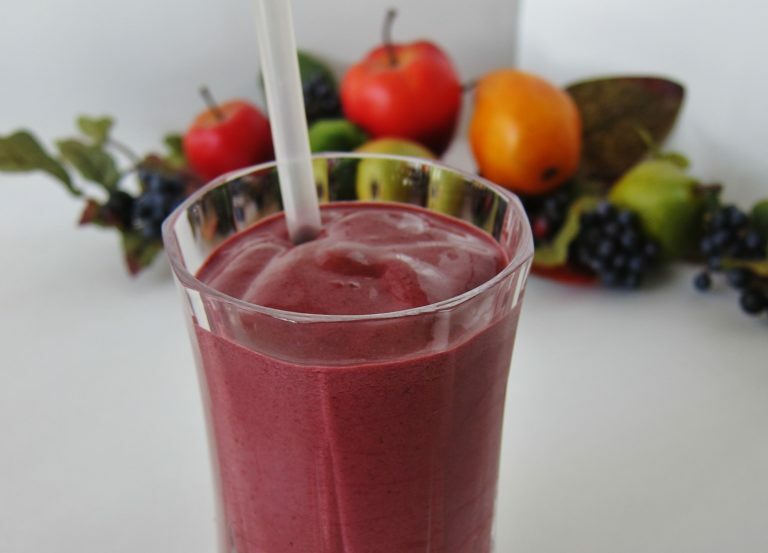 This Super Antioxidant smoothie is a favorite of mine. It contains berries, pomegranate juice and matcha green tea powder for antioxidants and protein powder to keep you satisfied. The green tea boosts energy levels as well, so it is perfect for a mid afternoon boost, or in the morning to wake up. Today I was feeling ambitious. I wanted to accomplish everything on my to-do list in an extraordinary and efficient manner. Clean the house, get some editing and scheduling in order, make a variety of healthy foods for the week, take pictures of the kids for Christmas cards and the list goes on. We have all been there. Well I’d like to say today was a day of accomplishment and creativity. 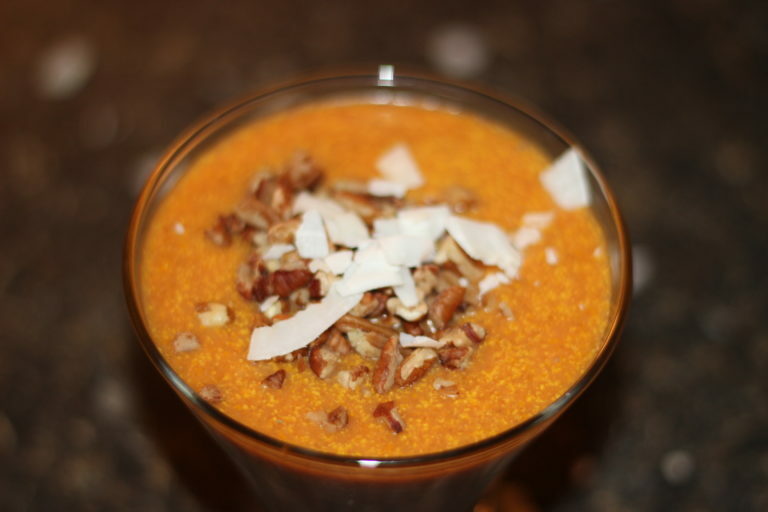 Exhausted by my son’s inability to focus for pictures, I managed to find relaxation in utilizing left over carrots and pecans from Christmas cookies. It’s funny how cooking has become therapeutic. Stress can easily set-in throughout the day. I am an emotional eater. When I am eating poorly, it just adds to the stress. Sugar is my major downfall. Once I indulge, my ambitious ways go out the door. But what happens when you cannot get your mind off your sweet tooth? Dates are a great way to add sugar to any dessert or snack. They are also nutritious and loaded with much-needed minerals. Don’t eat this pudding before bed. Unlike sugar that makes us crash, dates replenishes our energy . This paleo-friendly recipe is so satisfying that the whole family will like it. Many people think of serving Brussels sprouts on their holiday table, but few think to serve them raw. The truth is, they are just as delicious raw in a slaw as cabbage is, and they can be a wonderful seasonal alternative to cabbage. Although many slaws are served with creamy mayonnaise based dressings, a light vinaigrette creates a nice variation! 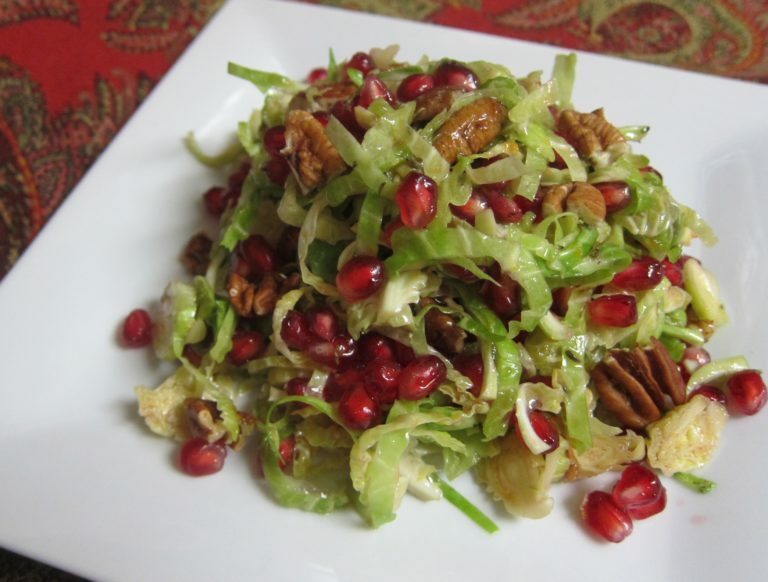 I recently made a shaved Brussels sprouts slaw with tart pomegranate seeds and toasted pecans in a citrus pomegranate vinaigrette which I decided needed to be shared as it would be perfect on a Holiday table. Besides this recipe being flavorful, festive and delicious, the Brussels sprouts retain more nutrients when served raw then cooked. After being outside for a day of skiing, going for a walk, or sometimes just coming home from work in the winter, it is nice to have a warm drink to take the chill off. Sometimes tea doesn’t cut it and your craving something a little sweet. Before you reach for the hot chocolate mixture, why not treat yourself to something really special and make yourself some homemade hot chocolate! 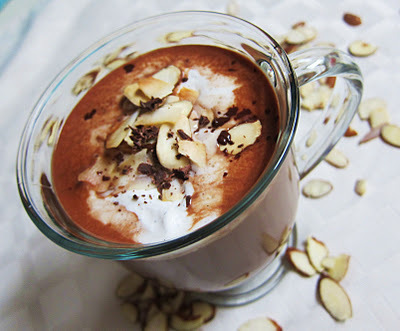 I am sharing with you a vegan recipe that I created to be just as tasty as the typical dairy laden hot chocolate. I use whipped coconut cream to top it off, and as an alternative lite coconut milk in the drink itself. When having guests over for the holidays, it can be a challenge to get all of your dishes that you are serving in order and on the table. Which is why I love to serve things like Lasagna which can be prepped the day before, then baked the day of. 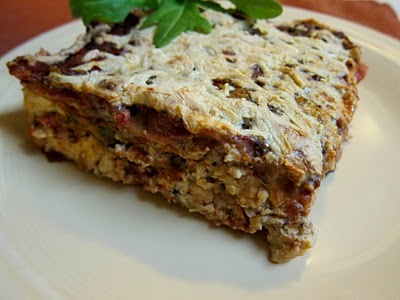 There are many recipes for lasagna out there but few are vegan. I decided to share one of mine with you today, which will please vegan and dairy-free guests. It can also be made gluten-free if you use gluten free noodles. It is packed full of veggies and flavor so it is substantial, but won’t leave you feeling weighed down. Anything wrapped in filo is always a hit. At least that is what my mother says. She has asked me to make her filo wrapped appetizers for work parties a couple of times now. Although I made spanikopita once, a cheese and spinach pastry, my favorite was a veganized squash and cheese filled appetizer. I originally made them with chevre, but they work just as well with Tofutti cream cheese. 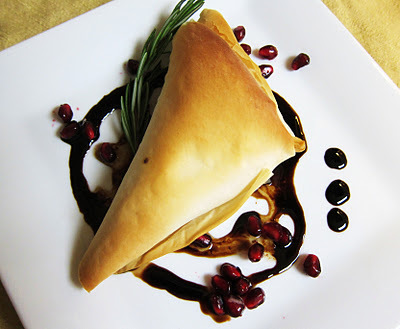 The filling is creamy and scented with a touch of cumin and thyme, as well as sweet from the squash and apples. It may look like it is a little complicated to prepare, but once you get the hang of wrapping it is really quite easy. The best part is that they can be prepared the day before and baked when needed! 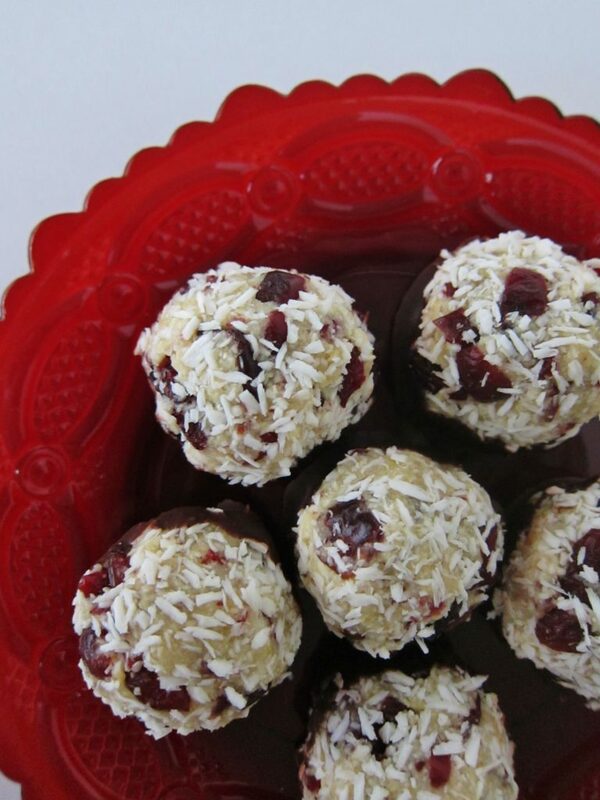 Serve these at your holiday party and you will wow your guests. Coconut has always been a part of the Christmas cookie spread at my house; my mom and grandma both love it! They used to make coconut bon bons, coconut macaroons, and coconut wreaths. This year, I thought I would continue with the coconut theme and make my own macaroons jazzed up with a bit of cranberries and orange for a flavorful twist. These easy to make macaroons are raw, vegan and gluten free, and you would not be able to guess that they are. But most importantly they taste wonderful. Although I have used a dehydrator for this recipe, you can use an oven at a low temperature if you do not have one. They would be perfect to give as gifts in a pretty box to any coconut lover!